…The three great negations of Presbyterianism—that is, the three great errors which it denies are—1. That all church power vests in the clergy. 2. That the apostolic office is perpetual. 3. That each individual Christian congregation is independent. The affirmative statement of these principles is—1. That the people have a right to a substantive part in the government of the Church. 2. That presbyters, who minister in word and doctrine, are the highest government officers of the Church, and all belong to the same order. 3. That the outward and visible Church is, or should be, one, in the sense that a smaller part is subject to a larger, and a larger to the whole. It is not holding one of these principles that makes a man a Presbyterian, but his holding them all. Charles Hodge, What Is Presbyterianism? An Address (Philadelphia: Presbyterian Board of Publication, 1855), 6–7. Herman Bavinck’s discussion of ecclesiology is, in my opinion, one of the best Reformed treatments of this doctrine available in English. 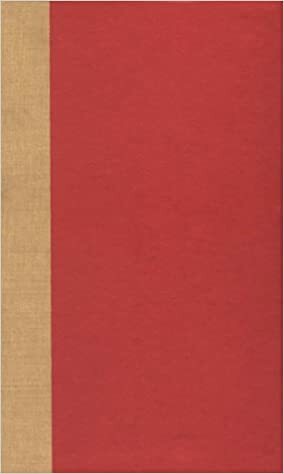 Since I am presbyterian in my ecclesiology, I appreciate Bavinck’s robust and biblical view of the church: its spiritual essence, spiritual government, spiritual power, and so forth. I also like how he appealed to the post-reformation context to discuss the true/false church distinction that the Belgic Confession speaks of in article 29. Bavinck (in IV.315-16) mentions how Calvin and other Reformers taught that there is no perfectly pure church. Therefore, when we say “true church” we don’t mean “perfectly pure church.” He explains how the post-reformation teachers wrestled through this. Even though Rome was a false church insofar as it was papal, nevertheless there were many remnants of the true church left in it. There was a difference, therefore, between a true church and a pure church. ‘True church’ became the term, not for one church to the exclusion of all others, but for an array of churches that still upheld the fundamental articles of Christian faith but for the rest differed a great deal from each other in degrees of purity. And ‘false church’ became the term for the hierarchical power of superstition or belief that set itself up in local churches and accorded itself and its ordinances more authority than the Word of God” (p. 315-316). Well stated. In the post-reformation context, there were true churches whose doctrine was more or less pure. These churches were true because they upheld the fundamental articles of the faith as they displayed the three marks (word, sacrament, discipline). False churches were those that denied fundamental articles of the faith by subverting the authority of the Word (this is where the Reformers discussed Rome and anabaptistic sects). I think Bavinck is right here, and though others may disagree, I also believe that a proper reading of the Belgic Confession of Faith article 29 is the Westminster Confession of Faith’s application of this teaching. WCF 25.4 explains how local churches that are part of the visible church catholic [universal] “are more or less pure.” In other words, and in summary, “true church” doesn’t mean “most pure church.” “True church” means churches that uphold – more or less purely – the biblical fundamentals of the faith displayed in the biblical three marks (preaching, discipline, and the sacraments). Let us not tempt the one in whom we have placed our trust, or we may be deceived by the enemy’s cunning and perversity and become unwilling even to go to church to hear and learn the gospel, or to read the Biblical text or listen to it being read and preached, preferring to wait until ‘we are caught up into the third heaven, whether in the body or out of the body’ (in the words of the apostle) [2 Cor. 12:2-4], and there hear ‘words that cannot be expressed, which a human being may not utter’ or see the Lord Jesus Christ in person and hear the gospel from him rather than from men. I always appreciate the reminder that just like it is unbibical to purposely be a “solo” Christian (Heb 10:25, 1 Jn. 4:21, etc.) it is also unbiblical to purposely avoid the church when learning about God from his word (Heb 13:6, 1 Tim. 3:15, etc). The above quote by Augustine is found in Kelly’s in Systematic Theology, vol. 1, p. 25. For many Christians today, even those in more liturgical traditions, the notion that the Spirit is at work visibly wherever the Word is faithfully preached and the sacraments are administered according to Christ’s institution is no longer intuitive. For many, it seems, the only way of redeeming the term ‘church’ is to identify it exclusively with the invisible church, that is, the spiritual fellowship of all God’s elect in all times and places rather than the visible and concrete institution that in its various manifestations it somehow thought to be endowed with real authority from Christ and genuine power from the Spirit. The Spirit is associated with mission, often in some tension (if not outright contrast) with the church’s ministry of preaching, sacrament, and discipline. But this is a glaring misapprehension of the economic operations of the Trinity in general and the incarnation in particular. The Father sent the Son, and the Spirit clothed the Son in our nature; the Father and the Son sent the Spirit into our hearts, regenerating and uniting us to Christ the living vine. The Spirit’s work is consistently associated with that which is public and tangible in history, as we have seen. Furthermore, the Spirit equips the church to be an official and creaturely embassy of Christ’s reign and sends us out on his mission to bring the liberating word of the King to the ends of the earth. The sending of the church therefore belongs to the same economy as a Father sending of the Son as well as the sending of the Spirit by the Father and the Son. Consequently, to divide Spirit-filled mission from the institutional church is to misunderstand at a fundamental level who the Spirit is, how he works ordinarily, and what we are called to do and be in the world today. I fear that we are creeping toward a Gnosticism that views the visible church as the prison house of the invisible church. Michael Horton, Rediscovering the Holy Spirit, p. 300-301. One thing that Herman Bavinck did so well was put his finger on the pulse of the radical Anabaptist theology in the post-reformation era. Here’s one of his many penetrating insights into the Anabaptist dualism. “Anabaptism proceeded from the premise of an absolute antithesis between creation and re-creation, nature and grace, the world and the kingdom of God, and therefore viewed believers as persons who in being born again had become something totally different and therefore had to live in separation from the world. Its program was not reformation but separation: Anabaptism wanted a separated church. For centuries [they said] there had been no church but only Babel, and Babel had to be abandoned and shunned. In Munster it was said that there had been no true Christian in 1,400 years. The true church was a church of saints who, after making a personal profession of faith, were baptized, and who distinguished themselves from others by abstaining from oaths, war, government office, and a wide assortment of worldly practices in food and drink, clothing, and social contact” (Reformed Dogmatics, IV.292). This is pretty significant to understand, especially in light of an earlier post here concerning the conversion experience. Over and over Bavinck reminds us that grace restores nature; it does not work against or remain outside, above, or beside nature “but rather permeates and wholly renews it.” In other words, conversion experiences are as diverse as the scores of people who have been converted: there is no one conversion that trumps the others. This is where the conversion experience and the doctrine of the church go hand in hand: if one sharply distinguishes grace from nature, he sees conversion as a separation from (or destruction of) nature instead of a renewal/reformation of it. When it comes to the church then, it has to be made up of only those who are separated from nature and show it by their sharp distinction between themselves and everything else. In pretty blunt terms, it is as if conversion is a lightning-bolt-supernatural-shock which results in something totally different, and those who are totally different make up a totally different church (almost an a-natural church). In Reformed terms (and Bavinck’s terms), this is a dualistic principle that underlies more than a few sects that emerged within Protestantism following the Reformation. What is the Reformed response? It is quite detailed, but the first thing to note with Bavinck is the organic working of grace, the way grace restores and works through, in, and with nature. We see this principle 1) in the writing of Scripture (God didn’t destroy the personalities of the author, but used them for his purposes), 2) in the unfolding promises of his covenant of grace (his ordinary way of working is through the natural means of parents and their seed), 3) in conversion (which is a renewal [not destruction] of the imago dei), 4) in sanctification (God reforming his people – including their various personalities and emotions), and 5) in the church (he uses natural things like speaking, bread, wine, and discipline – the 3 marks of a true church – to help his people). These are just five areas – there are more. There is a pastoral side to this. Just as with conversion we don’t always need to see the “hell to heaven” experience that one can pinpoint (though those are fine), so too with sanctification and the doctrine of the church. In a church, we’re going to find a whole bunch of people with different personalities, different ways of struggling with sin, different methods of speaking about Jesus, and so forth. Since grace renews nature, we should expect to see one parishioner fight sin with tears, another fight it with a more upbeat attitude, and yet another fight it quietly behind the scenes while a fourth sings a favorite Psalm to combat sin. When I counsel a believer who struggles with some type of addiction, for example, though we follow general Scriptural principles, he may not fight that addiction like I would. This sometimes frustrates me, since I tend to be Luther-like, fighting sin with fists flying. When Bavinck reminds me that grace restores nature, I can rest at night knowing that God’s gracious renewal gives us the same weapons to fight, but we all use those weapons in different ways. Just because the sinner-who-is-a-saint doesn’t throw fists at sin like I do doesn’t mean he isn’t fighting it! Just because a church is made up of people who are at different stages of struggling and have different methods of struggling doesn’t mean the church is impure! A church is made up of sinners using the same weapons to fight sin, only they wield the weapons differently. Grace renews nature! This post is too long already, but this topic also has implications for preaching. The third mark of the Church, and the one I am most anxious to emphasize, because it is so sadly neglected, is the exercise of discipline. Now if we had asked at the beginning: ‘What are the three essential marks of the Church?’, I wonder how many would have mentioned the exercise of discipline? There is no doubt at all but that this doctrine is grievously neglected. Indeed, if I were asked to explain why it is that things are as they are in the Church; if I were asked to explain why statistics show the dwindling numbers, the lack of power and the lack of influence upon men and women; if I were asked to explain why it is that so many churches seem to be incapable of sustaining the cause without resorting to whist drives and dances and things like that; if I were asked to explain why it is that the Church is in such a parlous condition, I should have to say that the ultimate cause is the failure to exercise discipline. David Martyn Lloyd-Jones, The Church and the Last Things (Wheaton, IL: Crossway Books, 1998), 14. So that the obstinate sinner may be put to shame and convicted to the point of repentance (1 Cor. 5:5). So that other Christians do not stumble because of the person’s sin (1 Cor. 5:6). To teach other Christians that sin will be disciplined (1 Cor. 5:6). So that the church may not be disgraced on account of public scandals (1 Cor. 5:7). Also, one of the major reasons why churches should discipline unrepentant sinners is for the glory of Christ. We don’t want his name dragged in the mud because some in his church are allowed to live in a way that profanes his holy name. On a positive note, a church disciplines unrepentant sinners out of love for the sinner and for Christ! We want the sinner to repent, his people to be edified, and we want Jesus’ name to be hallowed. Indeed, Christian discipline is a mark of a true church. 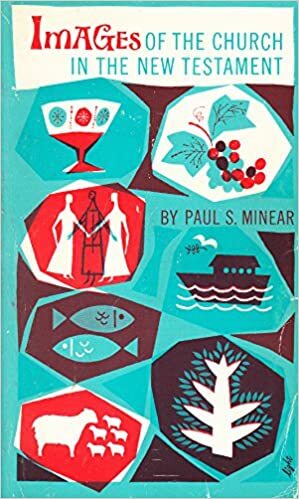 I’m still making my way through this helpful book: Images of the Church in the New Testament by Paul Minear. One image he talks about is the image of the first fruits. This is a rich theme in the Bible that applies to various concepts in the Old and New Testaments (see Gen 49:3, Ex 23:16, Lev 2:12, Jer 2:3, Rom 8:23, 1 Cor 15:20, etc). 1) God’s lordship over all and his gift of all. 2) The Passover requirement of the sacrifice of the first-born. 4) The appearance and presentation of the first fruit as a pledge of the coming harvest. 5) The power of the first to represent all others in the series. 6) The power of the first to sanctify and to cleanse the whole series. These assumptions permeate the following appearances of the idiom in the New Testament: Christ is the first fruits of the dead (1 Cor 15:20-23); the Spirit, which is at work within the Christian community, is the pledge and guarantee, the ‘down payment’ of the coming redemption, which is designed to reach the whole creation (Rom 8:23; cf. also ch 11:16); the first converts in a providence embody the promise and power of salvation for the whole province (Rom 16:5; 1 Cor 16:15); the Christian community as a whole is begotten in order to serve as the first fruits of all God’s people (James 1:18; cf also Rev 14:4). Minear then notes how “first fruits” is a biblical way to think about Christ’s church: “It locates the historical present of the church as lying between what God has done and what he will surely do. It suggests that God is now active in social history. It identifies Jesus Christ as the agent through whom God’s hand is at work” (Minear then cites Eph 2.10, Rev 3:14, Col 1:16). So the imagery of “first fruit” is found in the OT and ultimately fulfilled in Christ, the Spirit’s work, the church, and God’s mission to the world! Paul Minear, Images of the Church in the New Testament, p 112-113.